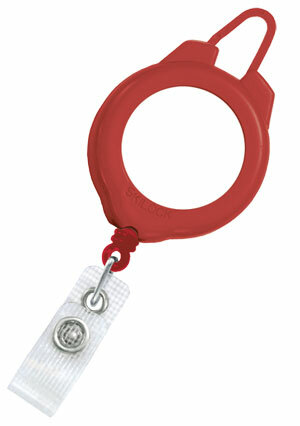 Our Ski/Sports Pass retractable badge reels have a flexible zipper-lock hook and comes in six great colors. This lightweight and streamlined round all plastic retractable badge reel has a narrow profile and is designed for light duty applications. It DOES NOT have a metal clasp like our other reels. The plastic clip on the top attaches to a belt loop or zipper. It keeps ID cards, day passes, keys or other items attached by means of a plastic snap fastener or vinyl strap connected to a 29-1/2" cord. 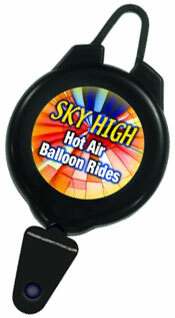 For an additional charge our all plastic retractable ski/sports badge reels can be customized with your logo or other graphics.